Fall weather got your complexion looking and feeling a little down? 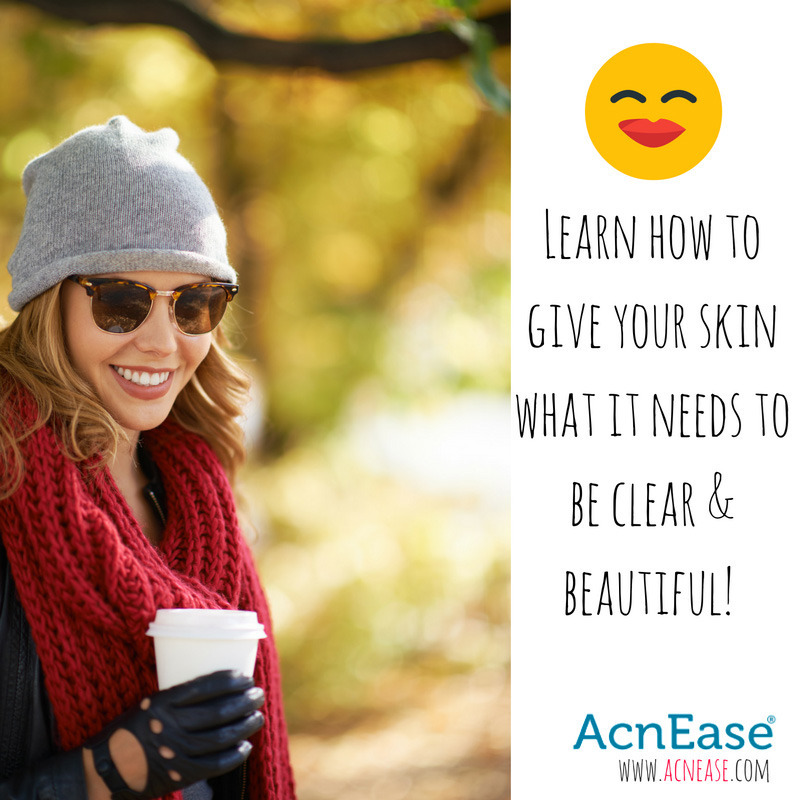 Autumn can be a tough time for anyone with acne, as the cool, dry air tends to dehydrate most skin, which can often result in breakouts. Taking some extra steps to ensure a smooth and hydrated complexion is well worth the time, and luckily, it doesn’t take much at all. We’ve come up with 5 simple, seasonally-themed treats for acne-prone skin this fall to help you achieve a clear, beautiful complexion. Decrease oil with a fall-themed DIY mask. Oily skin is oftentimes a symptom of the acne condition. Most people usually want to strip away any oil with a topical wash made from harsh chemicals, which can actually trigger the body to create more oil to replace what was just lost, exacerbating the formation of acne. Keeping the skin clean by washing twice daily is an essential step in any skincare regimen, but if you have especially oily skin you can look to an easy and effective honey mask to help remove unwanted oil from the surface without compromising your complexion. To make, simply mix two parts honey to one part cinnamon, which will help open up pores to push bacteria out. Once a paste is formed, apply to skin, and rinse away after about 10-15 minutes. Slough away dead skin with a gentle exfoliating scrub. While oil is partially responsible for acne, dry, flaky skin plays its part too, contributing to the formation of bacteria within clogged pores. Exfoliating is key in the cooler months when dead skin cells tend to collect on the surface, but keeping it gentle will prevent any further dryness from damaging your skin. To keep things seasonal, look to a traditional fall side dish to create this cranberry facial scrub, which works to deliver a healthy dose of vitamins and antioxidants. Tone with a gentle chamomile tonic. If your pores are in need of a tightening tune-up, you can indulge your senses and skin with a chamomile-lavender toner, which is gentle on skin, calming any irritation you may be experiencing from the outdoor elements. The best part? This treat is simple and super affordable. To make, steep 3-4 chamomile tea bags in about 4 ounces of water, and allow to cool to room temperature. Add 2-3 drops of lavender essential oil, a natural antimicrobial, and dip a cotton ball into the solution, gently dabbing onto the face, or affected areas. Moisturize. If you’re only able to treat your skin to one thing this fall, you’ll want to stick with this suggestion. The cool outdoor air, combined with the forced, hot air we’ve all started cranking indoors really puts our complexions through the ringer. Even if your skin is oily, those dead skin cells that form as a result of the cooler, drier weather are likely forming, which is why keeping your complexion plump, healthy and hydrated will go a long way in achieving clear skin. While a non-comedogenic moisturizer or night cream is always suggested, you can find creative ways to add a little moisture to your skin without the residue if that’s what you prefer. Adding a humidifier to your room while you sleep is a great way to hydrate while you rest, and keeping the length and temperature of your showers as low as you can tolerate will prevent moisture from being zapped as you cleanse. As always, drinking the recommended 8 glasses of water a day can make for great changes to the complexion, but if you need to hydrate on the go, you can still snack on dehydrated fruit such as apricots, apples and blueberries. Treat the problem from within! Finding topical remedies is always a tempting solution for those with problem skin, but for lasting results, proper skin care is an inside job. Whatever the weather, acne does not go away on its own when it’s left untreated. Symptoms might lessen, but they will almost always come back. 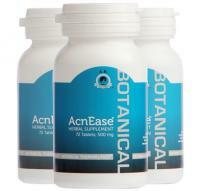 Our AcnEase® users are able to experience how a systemic treatment works from within to target the source of acne - the hormones’ effect on the sebaceous glands, eliminating existing acne while preventing more from forming. The botanical ingredients that make up the various AcnEase® treatments were selected based on years of research and trials as the safest and most effective combination for achieving long term results, whether your symptoms are mild, severe or anything in between. We want to hear from you! What treats do you reward your skin with when the temperatures drop? Have any favorite DIY recipes you live by to keep your complexion acne-free? Tell us in the comments!